Sometimes we don’t twig the significance of an event until it has passed. And the circumstances or even a lesser version of them will never be created again. Looking back on it now, that evening gathering by the Thames in Chelsea, on Tuesday 9 November 2016, was probably one of the last, positive uncomplicated events in a phase of Anglo-Irish relations. The cast of characters, the optimism of the occasion - probably unjustified - will never be reassembled again. Christopher Moran was the convener. He is an extraordinary character. He has an Irish father but his English mother had the greater influence on him as he grew up in working-class London. He started off on the bottom rung of the ladder in the City of London and was an astute observer of how money was made. He acquired scorch marks - unfairly according to himself - in the Lloyds Names controversy. But his wits and accumulated wealth allowed him to purchase Crosby Hall, a mansion in Chelsea. It was the last address of Sir Thomas More, before Henry VIII imprisoned and beheaded him in 1535. Moran has been Chairman of Co-operation Ireland since 2006. It is a charity, involved in peace and reconciliation work. The most significant quality he brings to the role is his access and influence in heavyweight circles in the UK. According to Moran, Tony Blair has availed of his Chelsea 'gaff' for some events during his post-political career. But he (Moran) is a Tory by nature. Old school values - Douglas Hurd, Peter Brooke type. He is also well connected to 'Buck House' - Buckingham Palace. It was no coincidence that the event used to "stage manage" the first meeting and shake hands between Queen Elizabeth and Martin McGuinness in 2012 was a Co-operation Ireland gathering at the Lyric Theatre in Belfast. During the first State visit to Britain by an Irish president in 2014, the facilities at Windsor Castle were given over to Co-operation Ireland for a reception, attended by both Queen Elizabeth and Michael D Higgins. Christopher Moran was involved in both events. He was also the driver of the gathering at his Chelsea home in November 2016. He was conscious of the shifting mood, following the Brexit Referendum result five months before. He could detect the new tensions and complexities in Anglo-Irish relations. He believed - or perhaps was keen to persuade himself - that the challenges could be overcome and the healing patterns of recent years would continue. It was Moran's idea that an Irish artist, Colin Davidson, would paint a portrait of Queen Elizabeth to mark her 90th birthday. And that, in the spirit of the Good Friday Agreement, the peace process and recent positivity in Anglo-Irish relations, a cast of prominent characters would turn up for the unveiling. Moran hoped that it would be public confirmation that their sense of shared enterprise remained on track. Queen Elizabeth and her husband Prince Philip were the guests of honour. The then tánaiste and Minister for Justice Frances Fitzgerald represented the Irish Government. DUP leader Arlene Foster arrived from Belfast (not a hint of the 'Cash for Ash' controversy in the air). Martin McGuinness came straight from a transatlantic flight, after landing at Heathrow Airport. President Higgins wasn't available for that Crosby Hall event because he was on the far side of the world, on a State visit to Vietnam. But a phrase the President had used at a banquet in Windsor Castle two years before was in the air at the portrait unveiling - 'Ar scath a cheile a mhaireann na daoine - we live in the shadow of each other'. I chatted with Martin McGuinness at the event in Christopher Moran’s home. During his weekend visit to the United States, he had attended functions in New York and Texas. He was disappointed that illness had prevented a great friend of the Peace Process, Bill Flynn, from getting to an event in his honour in Houston. The Deputy First Minister mentioned that he felt tired after the travelling - a complaint I had never heard before from someone who was making the Derry/Belfast return trip at least four times a week for almost 20 years. There was a slight wheezing as he spoke. We put it down to jet lag, or a chest infection. Or both. Days later he went to his GP in Derry. The advice that follow-up tests were needed persuaded him to pull out of a planned trade trip to China with Ms Foster. When she went there, the 'Cash for Ash' controversy erupted following a BBC Spotlight programme and the pressure on her about a botched scheme she had supervised was increased by leaks from within the DUP party she leads. For Martin McGuinness the test results led to the need for further urgent investigations and an appointment at the Royal Free Hospital in London. Before the days of Christmas, he had confirmation that a rare disease called amyloidosis was causing an abnormal build up of protein and threatening his heart. As he was travelling in a taxi back to a London Airport, Sinn Féin was issuing his approved statement, calling on Arlene Foster to stand aside, where her role in the Renewable Heat Incentive Scheme was investigated. I drove to Derry to see him on New Year’s Eve. His wife Bernie was out, briefly, visiting an ill family member. He was alone in the house when I arrived unannounced at 8pm. I brought him a copy of Conor O’Clery’s fine book, 'Star Man', a novel about a section of Ulster’s Presbyterian community in the 1790s. He was wearing a tracksuit and cooking when I called. We chatted about his illness and my own experience of dealing with cancer. I had made inquiries with a number of doctors about his particular condition. I told him of my confidence and hope that his disease would be successfully confronted. The course of chemotherapy had begun when he came to Stormont, in a weakened state, and announced his resignation as Deputy First Minister on 10 January 2017. He wanted to tell Arlene Foster of his decision, face to face. The move collapsed the power-sharing administration. He was casually dressed. The jumper made him look thin. 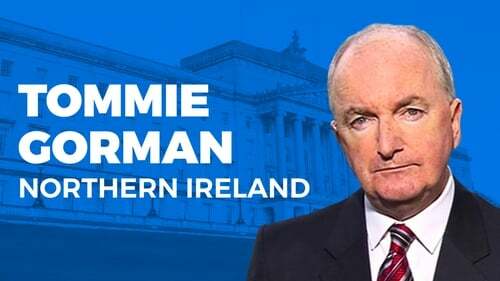 He spoke to the media in a weak voice in his Stormont office. Eight days later, he seemed to have recovered some of his strength and energy when he travelled to Ratoath in Co Meath to attend the funeral of Dermot Gallagher, a former Secretary General in the Department of Foreign Affairs. He was dressed formally, wearing a dark navy coat. The following day, 19 January, he gave a series of interviews in his home city, explaining that he would not be contesting the next Assembly election and that he would be concentrating on dealing with his health challenge. Some of his family members stayed with him as he talked to a number of reporters, one at a time, in an upstairs room of Derry’s City Hotel. That night, crowds gathered outside his home in Derry’s Bogside. He came out to address them and unusually for him, he broke down when he said "my heart lies in the Bogside and with the people of Derry". After that he returned to the cancer unit of Derry's Altnagelvin Hospital and the course of chemotherapy recommenced. His system struggled with absorbing and processing the drugs. His medical team, his family members and he himself remained confident that he would turn the corner. Arlene Foster, facing into elections following the collapse of power-sharing, was among those who sent best wishes to him. Bill Clinton phoned him from the US. Mary and Martin McAleese and later George Mitchell called to see him. In the final days of February he stopped texting and reading his messages. Bernie took his phone to allow him rest. In the early hours of 21 March 2017, he died. Ten years earlier, Martin McGuinness was easing into what would probably be the happiest Christmas of his public life. During the opening days of December 2007, he had travelled to the United States with Ian Paisley. Together they stood on the tight little balcony of the Wall Street Stock Exchange. The cameras clicked, they received rapturous applause when they rang the bell to signal the day’s trading could commence. One of a string of glitzy functions was held in the home of Loretta Brennan Glucksman, chairperson of the Ireland Fund. Liam Neeson was among the many guests who greeted them. In some of his impromptu speeches, Ian Paisley referred to his partner in government as "my deputy": McGuinness smiled benignly. They were, in the phrase coined by Irish Times journalist Gerry Moriarty, "The Chuckle Brothers", seven months into a relationship of opposites that was commanding international attention and goodwill. At a reception in the home of the Irish Consul General, Niall Burgess, McGuinness discreetly took the arm of the 81-year-old DUP leader and adjusted his pace to help him up a set of stairs. They were living a dream together. It had been a long journey to the impossible. Sinn Féin and the DUP had mercilessly cleared the road of middle-ground parties, the SDLP and the Ulster Unionists. Then Sinn Féin dropped its objections to supporting the PSNI and delivered on the DUP's insistence that the IRA would decommission its weapons. All-powerful as he seemed within the DUP party he founded, (with Peter Robinson in the background exercising the levers), Ian Paisley had to see off his own batch of doubters. In November 2006, as many as a dozen of them - the 12 Apostles or The Dirty Dozen - were shaping up to vote against the road-map to power-sharing worked out at Saint Andrews a month before. That DUP bust-up didn't happen because Michael Stone attempted to break past the security cordon at Stormont's front door with the intention of attacking Gerry Adams. There was an utterly surreal air to so much of what happened that autumn day. Stone, the Loyalist who had bombed and killed mourners at an IRA funeral in March 1988 and was released from prison under licence as part of the 1998 Good Friday Agreement, made the intervention that rescued the DUP-Sinn Féin courtship. His appearance inside the revolving doors of Stormont caused the suspension of activities within the chamber and bought Paisley the time to soften and silence the rebels within his party. In May 2007, when Paisley, McGuinness and the beaming midwives, Tony Blair and Bertie Ahern, walked down the marble steps into a packed Great Hall on Devolution Day, the demand for tickets was such was that the then Secretary of State for Northern Ireland, Peter Hain, was in a flap the night before about a set for his parents. McGuinness discreetly sorted out the matter for him. Ian Paisley got the bare year in his role on centre stage and he hadn't the decisive say about his departure. Father Time was an issue. He revelled in the front of house, presidential-style role but he wasn't in the habit of bringing home a briefcase full of documents, nightly, and delivering technocratic, rapid-fire answers during Leader's Questions in the Assembly Chamber. Beyond their reservations that their leader hadn't the stamina for the First Minister role, a section within the DUP had more fundamental concerns. For them the Paisley relationship with McGuinness was too close for discomfort. Some within the DUP inner circle and support base were unhappy that, what at best should be a cold, business-like relationship, was travelling too far, too fast. All through the decade of DUP/Sinn Féin power-sharing this suspicion and mismatch factor would be a recurring theme. Involving both sides. If Ian Paisley in his final years was comfortable with warmth, Peter Robinson’s thermostat is set differently. He is more private, more shy. His eight-year term as First Minister was rocked, early on, by issues in his personal life and Martin McGuinness was supportive of him during that time. But Robinson had to deal with a litany of challenges, not just the likes of the Devolution of Justice and Policing saga but also rumblings within his own party. The letter he drafted to McGuinness from his holiday home in Florida in August 2013, caused major difficulties for his partner in government. Robinson was resiling from a commitment made to Sinn Féin about the development of the former Maze site. His actions were taken because he recognised, reluctantly, the scale of potential blowback within his own party. McGuinness also had to take account of Sinn Féin internal dynamics. Part of him wanted to attend the dinner at Dublin Castle - the 'A Uachtaráin agus a chairde' function - during the visit by Queen Elizabeth in May 2011. President McAleese kept two places in reserve for the Deputy First Minister and his wife right up to the final days. But Sinn Féin wasn't ready to sanction it. Iris Robinson, wearing an emerald green dress, accompanied her husband Peter to the function and they represented the Northern Ireland executive leadership. Six months later McGuinness received 243,030 votes in the presidential election. He came third behind Michael D Higgins, with 701,101 votes and Sean Gallagher with 504,964 votes. He was significantly ahead of Fine Gael’s Gay Mitchell (113,321) and Independents David Norris (109,469) and Dana Rosemary Scallan (51,220). Sinn Féin reflected on the numbers - their candidate pulled 13.7% of the total vote. The following year, 2012, a situation was contrived to allow McGuinness meet and greet the Queen at Belfast's Lyric Theatre. Some within the Sinn Féin and DUP teams at the heart of the First Minister-Deputy First minister relationship were frustrated by the pace of engagement and delivery. Leo Greene was a significant loss to McGuinness during those years and others too moved, or were edged out to fresh pastures. On the Monday morning in May 2015 that Peter Robinson sent for an ambulance crew, he was due to travel from his Belfast home to a speaking engagement in Dublin. The medical experts subsequently speculated that he might not have survived beyond Newry, had he gone ahead with the journey south. The stents inserted by the cardiology team in the Royal Victoria Hospital addressed his health issues. But he was 66 years old; he had survived a heart attack and, in keeping with the habits of his political career, Peter Robinson began planning the next phase - exit and succession. To the possible disquiet of the likes of Sammy Wilson, Peter Robinson engineered the selection of Arlene Foster, as the third leader of the DUP. The new partnership members, McGuinness and Foster, were from west of the River Bann. In the May 2016 Assembly elections, the DUP held their 38 seats, Sinn Féin dropped one to 28. McGuinness was 64, Foster was 45: they had worked together in government. In theory, the third chapter of Sinn Féin-DUP power-sharing had the in-built potential for incremental improvement. But the benefit of hindsight offers an alternative view. Seven weeks after the Assembly elections came the Brexit Referendum; its shock result and the DUP and Sinn Féin on different sides. August may well be regarded as 'down time' or 'the silly season' in politics but McGuinness and Foster were sufficiently exercised by the potential challenges of Brexit. On 10 August, they wrote to British Prime Minister Theresa May, emphasising their need to retain "as far as possible the ease with which we currently trade with EU member states..."
Reading their two-page letter to the prime minister now, its 'fudge' characteristics are obvious. But it is also clear they were worried about Brexit and they were keen to work together on finding a manageable solution to the challenges ahead. The good start and momentum for their relationship didn't materialise. The Brexit question was hampering matters: the SDLP, the Ulster Unionists and Alliance were not junior partners in government but had opted to play an opposition role. They - Jim Allister, the two People-Before-Profit MLAs and the Green Party - were regularly getting under the fingernails of the two-party government. After the November 2016 Queen's portrait unveiling in London, McGuinness got it in the neck from sections of his party. He was, they said, too soft on the DUP, too comfortable at royal portrait unveilings. That's why, looking back on it, the evening by the Thames, was the closing of a chapter. In the uncanny nature of coincidence, during those very moments when Martin McGuinness was standing by Colin Davidson's painting, contentedly making small talk with the Queen, over in the United States he had just visited, voters were giving the brush off to Hilary Clinton and Donald Trump was heading for an earthquake victory he didn't expect. If Michael Stone's dramatic intervention at Stormont’s revolving doors in November 2006 couldn't have been predicted, the same could be said about the chain of events, all in the same direction, over the past 21 months: the Brexit result; the 'Cash for Ash' controversy; the illness and death of Martin McGuinness; the general election called by Theresa May; the result that left the Tory party dependent on the support of 10 pro-Brexit DUP MPs. Last month, Sinn Féin and the DUP made a very public effort to restore power-sharing after 12 months of a closed Stormont. Foster didn't adopt a 'back me or sack me' approach in relation to the deal she and the likes of Edwin Poots and Simon Hamilton had negotiated with Sinn Féin over a number of weeks. She knew that Monday 12 February, from the mood of the discussion with her party hierarchy and the questions raised, that the support wasn't there for the proposals. In the run-up to those failed discussions at Stormont, Sinn Féin had stretched and shaved its package of demands and needs. There was a recognition that a structure that had been relatively easy to dismantle was proving very difficult to reconstruct. The push for the kind of Irish language provisions that don't exist south of the border was toned down. But try as Gerry Adams did to get a deal in place as his last act in the party leadership role, he discovered a DUP not willing to engage. 'Special status' for Northern Ireland is an aspiration of nationalists and some others in the Brexit negotiations. The category has already been achieved by a section of the DUP - its 10 MPs have special status in the Westminster arithmetic. Their newly found strategic importance may well be of limited duration. But it has shifted the balance of power within the DUP and probably made the return of devolved government at Stormont impossible in the short to medium term. There is a strange atmosphere in Northern Ireland these days. The 20th anniversary of the Good Friday Agreement approaches. One of its most significant practical achievements, a working devolved government, is on ice with no sign of returning soon. On the very day of the anniversary - 10 April - Arlene Foster may well be in a section of the Stormont building, in the witness box, giving evidence to the 'Cash for Ash' Renewable Heat Incentive public inquiry. Was it like this in 1914, when domestic politics were put on hold because of the outbreak of World War I? Will the current impasse continue for long? Will the British government come up with workable solutions for the border on the island of Ireland by October? Or will Brexit remain the factor that undermines the possibilities of power-sharing? On Thursday, a portrait of the former Deputy First Minister was unveiled in Stormont. The Great Hall was crowded again: aging adults, Peter Robinson among them, were back in their old school for a reunion. And with them a nostalgia for times and things past and the knowledge they will never return. Photographer William Cherry caught the image of a child, in the arms of his father, reaching towards the painted hands of his deceased grandfather.